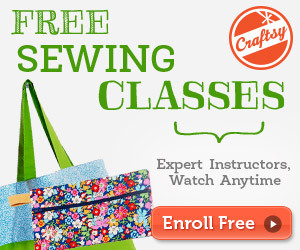 >> What Is Interfacing In Sewing? Interfacing in sewing is a stiffening textile used to provide support and rigidness to the underside or “wrong” side of fabrics. This is a handy material that can make sewing specific garments simpler by creating a more sturdy fabric. There are many options when looking for the right interfacing to use for a project, so knowing the different types will help in your search. This style of interfacing is similar to regular fabric in that it has an easy to follow grainline. With this clear direction in the thread, cutting this type of interfacing is simple. Just follow the thread lines or grainline directions when cutting the interfacing just like you do when cutting regular fabric. Though this type is not great for more unique patterns, so stick to more straight-line patterns when using woven interfacing. This style of interfacing is preferred interfacing in straight-line garment sewing because it lays well with the fabrics being used. Since woven interfacing is so similar to standard fabrics and will likely be washed in the future, you should preshrink it, so your end piece isn’t ruined later on. This type of interfacing is made of bonded fibers and has no apparent grainline. This allows you to cut out patterns in any way you want without having to follow grainline directions. However, this style of interfacing is not as durable as woven interfacing but does not require pre-sewing work. Non-woven interfacing does not need to be washed and preshrunk and does not fray. These qualities make non-woven interfacing great for more unique patterned designs. This interfacing is made with stretchy and flexible materials that make it great for crafts that will need some give in the end. The one thing to watch for when using knit interfacing is the way you are cutting the interfacing. Knit interfacing stretches really well one direction and very little in the other. So, if you are looking to have a more stretchy and flexible material to work with, you will need to make sure you are cutting the interfacing the right way. Interfacing is useful, stiffening material that is easy to apply to fabric. One thing to consider when selecting interfacing for your project is how you’d like to apply it to your fabric. The key to successfully fusing your fabric and interfacing is to apply the interfacing to the correct or “wrong” side of the fabric. Apply the interfacing to the bottom of the fabric that won’t be visible. There are two main types of interfacing when it comes to an application: fusible and sew-in. This type of interfacing has an adhesive or glue-like substance on one side that adheres to the fabric. There are some styles of fusible interfacing that have adhesive glue on both sides of the material so you can have an extra stiff result in your work. This interfacing is a great option to help simplify sewing because it gives you one layer to work with instead of two or more with the potential for shifting. Sew-in interfacing is an option that can be difficult to work with, but can have a cleaner result. With this style, you align the fabric with the interfacing and sew them together. The only difficulty in working with sew-in interfacing is that you have to keep track of the layer(s) and can make more mistakes. Make sure that your machine can push through the heavier material. Almost all of the machines I recommend can handle the added material without any issues. Interfacing is a useful textile in sewing. It's helpful with various crafts when you know how to use it. If you aren’t familiar with interfacing, give it a try. You’ll be amazed by how much it helps with your work. Please share photos to understand effectively.